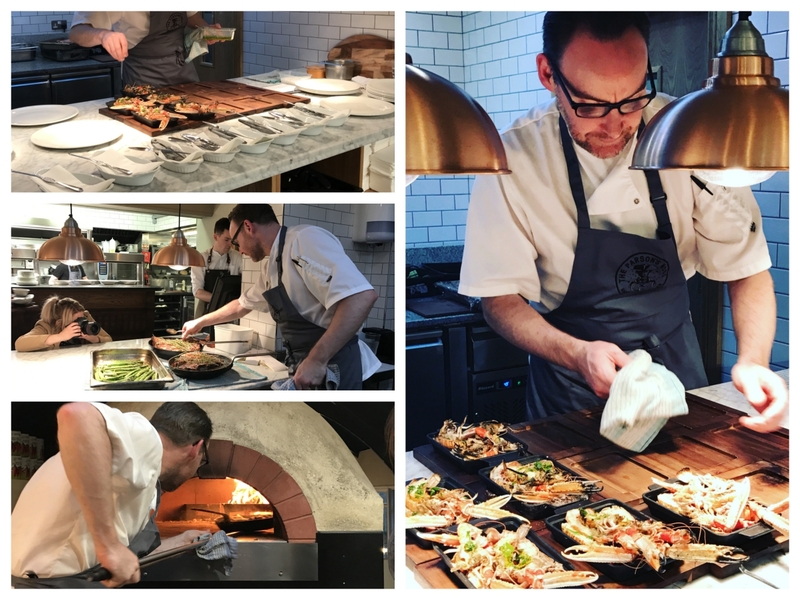 We were recently invited along to a media night at The Parson’s Nose in Hillsborough to celebrate a new chapter in this gastro-pub, following a recent £500,000 investment into the premises. We’ve dined in The Parson’s Nose on a number of occasions (read about our lunch experience here), most recently over Christmas to celebrate our 2nd wedding anniversary. As we arrived at the media night, we didn’t know what to expect in terms of renovations, but we really were blown away by the changes that had been made since our last visit. The Parson’s Nose always had a very homely feel and the new renovations in no way detract from this. The main bar area is still a cosy and inviting space, with the open fire a feature that has been retained, while the bar itself still has that Georgian look and feel to it. 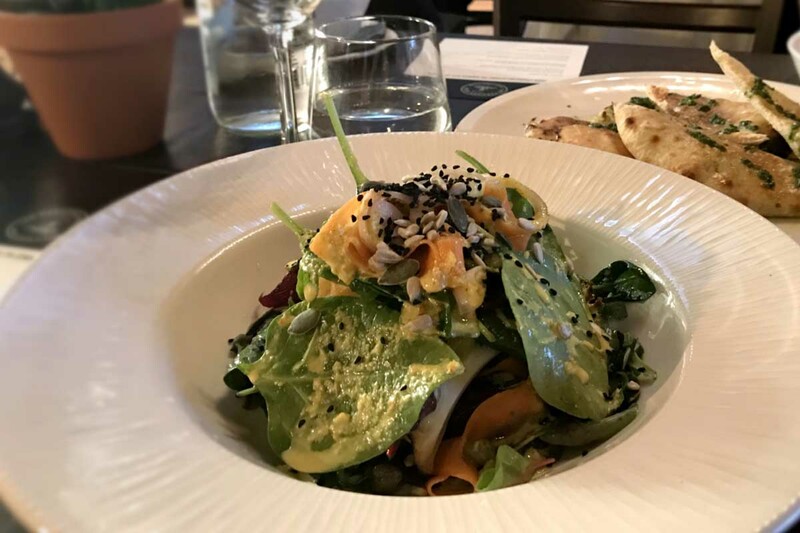 It’s the rest of the restaurant that has seen the bulk of the overhaul, with a new downstairs dining space and beer garden opened, with views out to Hillsborough Castle Lake, while upstairs there have been several changes to the dining space, all changes for the better. “We are thrilled to open the doors to the redeveloped Parson’s Nose and share our new chapter with customers. 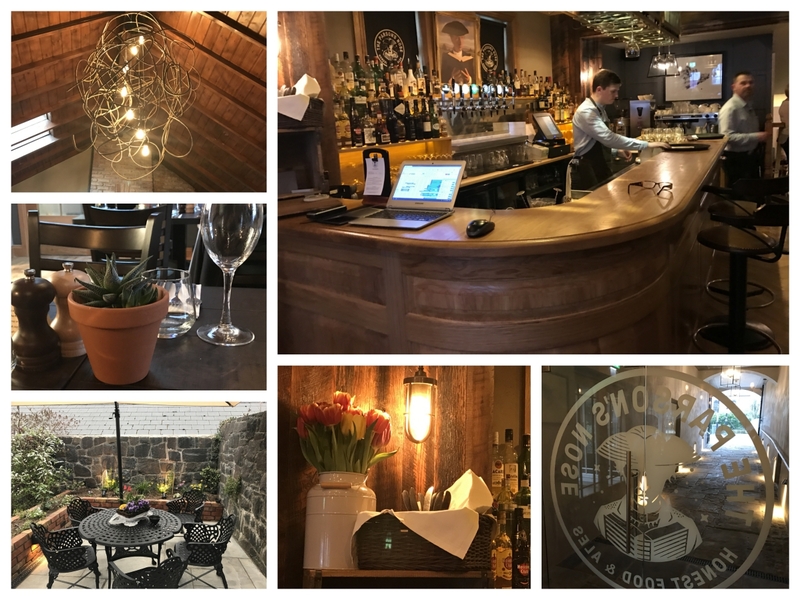 The restaurant still has its relaxed, cosy, Georgian pub atmosphere but we have built on this and also added a lighter, more open feel towards the back of the premises accentuating the beautiful Hillsborough surroundings. We are also excited about the diverse new menu which still includes the traditional classic dishes we are well known for alongside new additions that we hope will offer a more rounded experience for diners and families. 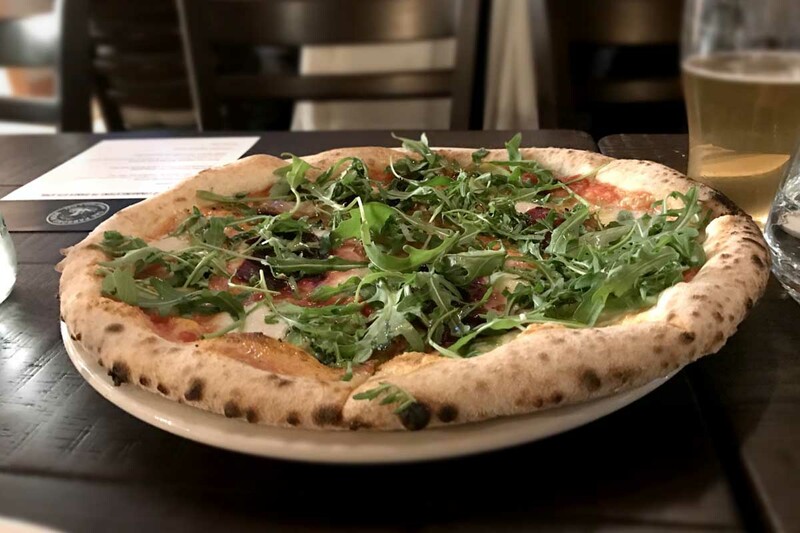 One of the standout features of the £500,000 investment into The Parson’s Nose is the new wood-fire pizza oven which has a big influence on the new menu, with sourdough pizzas, wood-fired meat and fish, and roasted vegetables all cooked in the new oven. Indeed, the new wood-fired pizza oven enables pizzas to be cooked in 90 seconds, and reaching temperatures of over 400C, allows meat and fish to be cooked in super quick time. It’s a real rustic way of cooking, and the food we sampled certainly hit all the right notes. 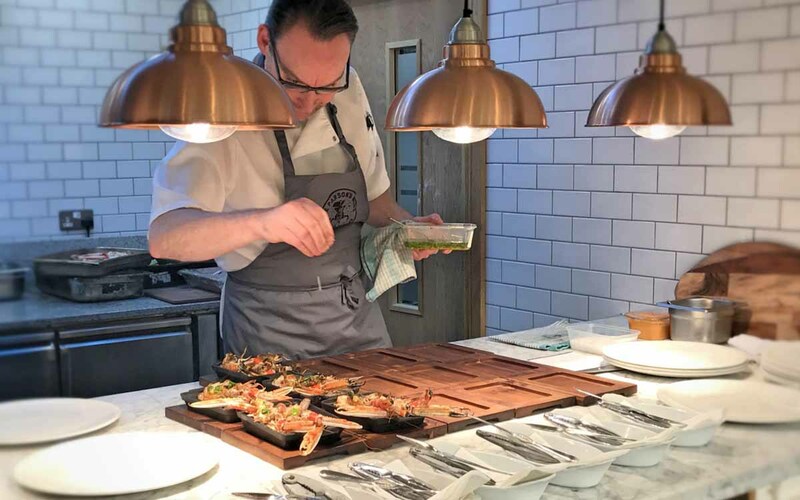 We got to sample some of the new cooking techniques and dishes on offer at the new and improved Parson’s Nose during the media event, and we were left suitably impressed. To start, we had some wood-fired Portavogie prawns with local artisan chorizo, red peppers, orange gremolata and garlic sourdough. As Helen is pregnant she opted for the super food salad which consisted of wood-fired cauliflower, pickled carrot, caper & raisin, quinoa and a spiced yoghurt dressing. Both dishes were packed full of flavour, with the wood-fire cooking technique really enhancing the flavour of both dishes, especially the prawns which were cooked to perfection. Our fellow diners were equally impressed as there was very little left on the table. Following the starter, we got a tour of the new premises and got a pizza cooking demo from head chef Danny Miller and the team, before sitting down to a selection of the sourdough pizzas. The main course and centrepiece of the evening was the stunning wood-roast Glenarm short-horn Cote de Beouf. 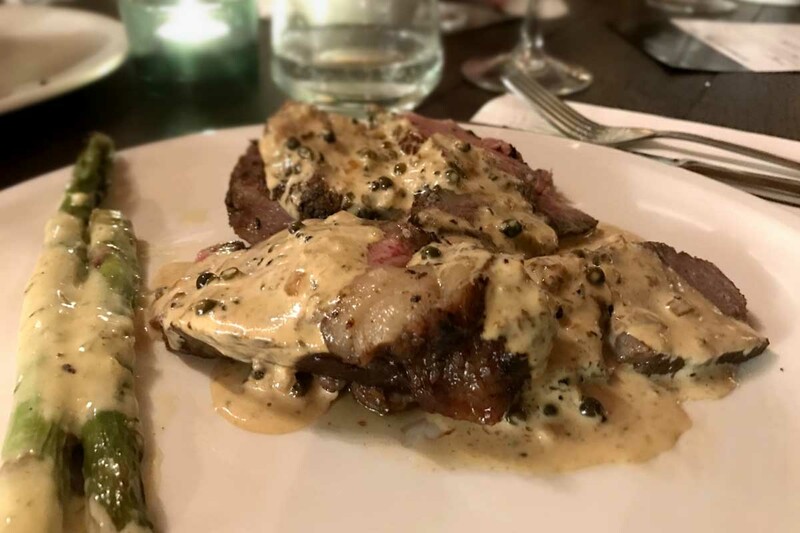 The Cote de Beouf was a sight to behold and grabbed the attention of all the diners. 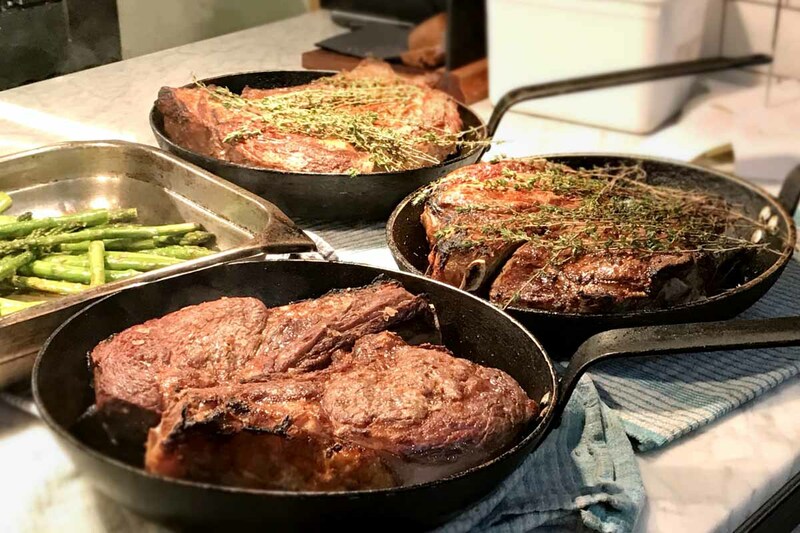 These mammoth cuts of beef were cooked in the wood-fire pizza oven and served with asparagus, chips and a choice of bearnaise or peppercorn sauce. The meat was cooked with garlic and rosemary and cooked to absolute perfection. A wonderful main course and a sign that the wood-fire oven is really going to elevate the quality of meat dishes you can look forward to when visiting The Parson’s Nose. 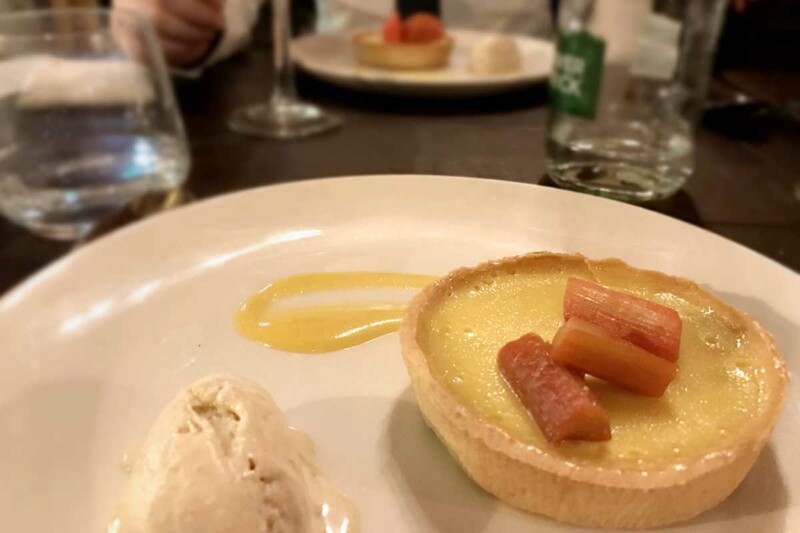 We finished our evening at The Parson’s Nose with a custard tart and rhubarb dessert which was as delicious a course as the rest. This was a fab night in the new surroundings of The Parson’s Nose, with top quality food and great company. It was good to finally put a face to some of our favourite NI food blogs as there were a number of other bloggers there on the evening. 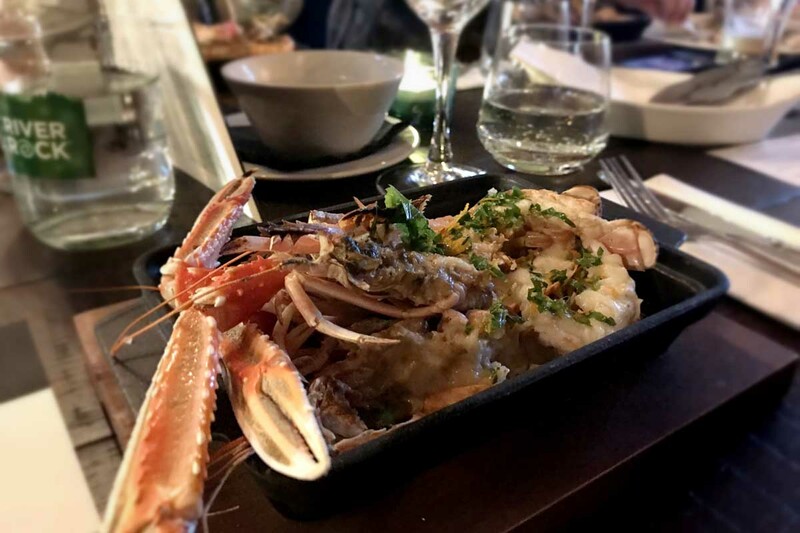 It’s great to see such a friendly blogging community here in Northern Ireland, and more importantly, it’s great to have so many great dining options, especially the variety outside of Belfast. We’ve always been fans of The Parson’s Nose, and indeed the other Balloo Inns establishments (Balloo House in Killinchy and Poacher’s Pocket in Lisbane). 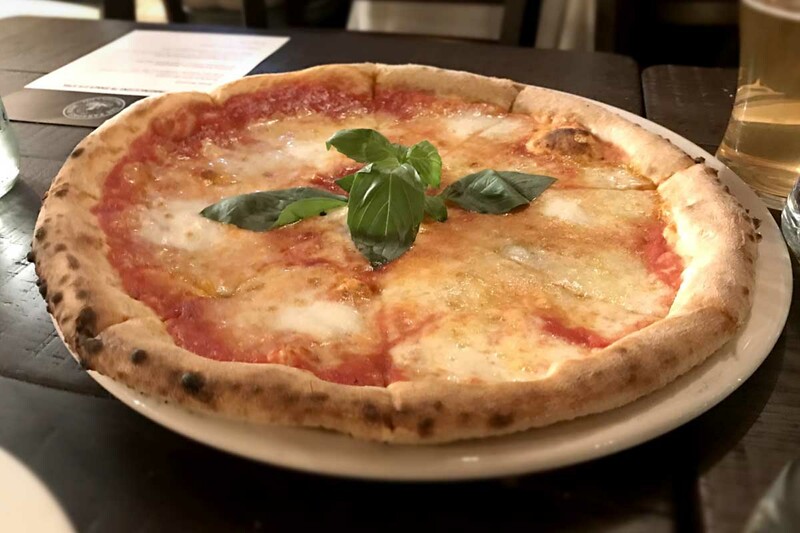 and with the new menu offering such a wide variety of dishes from pizza and salads to pasta, fish and meat courses, there’s something for everyone. Have You Visited The New And Improved Parson’s Nose? Have you dined in the newly renovated The Parson’s Nose yet? We’d love to know your thoughts as we were more than impressed and can’t wait to head back. Let us know below or by connecting with us over on Facebook and Twitter. You can keep up to date with our latest food and travel adventures by following us on Facebook, Twitter and Instagram. Until next time guys, happy dining. ** We were invited along to the media event to celebrate the new chapter for The Parson’s Nose. We have not been asked to write a review but enjoyed the experience so much that we just had to share with you guys. As usual, all thoughts are entirely our own.